Although I’ve told everyone I learned to write horror through Dark Shadows and Dracula, my schooling included experiences on my day job. I’m referring to the first job I got after graduating from respiratory therapy school, back in the 80s when I met my coworker Anne, who would later motivate my writing of Infinite Sight. I can tell you that losing an infant under your care is the worst kind of pain a health care professional can endure. Losing any patient, even an elderly patient after a long illness, is rough; the first time I had to withdraw ventilator support per doctor’s orders and family consent, I burst into tears. So I can sympathize with the kind of pain Lilly must have felt when Baby Miller died on her watch after her mishap with his ventilator. Back then, Congress hadn’t yet come up with the Family Leave Act and other laws to protect workers from bullying. Much bullying went on at this other hospital, and Anne bore the brunt. She was timid and required remedial tutoring to master any new equipment. Perhaps her school hadn’t taught her the basics. 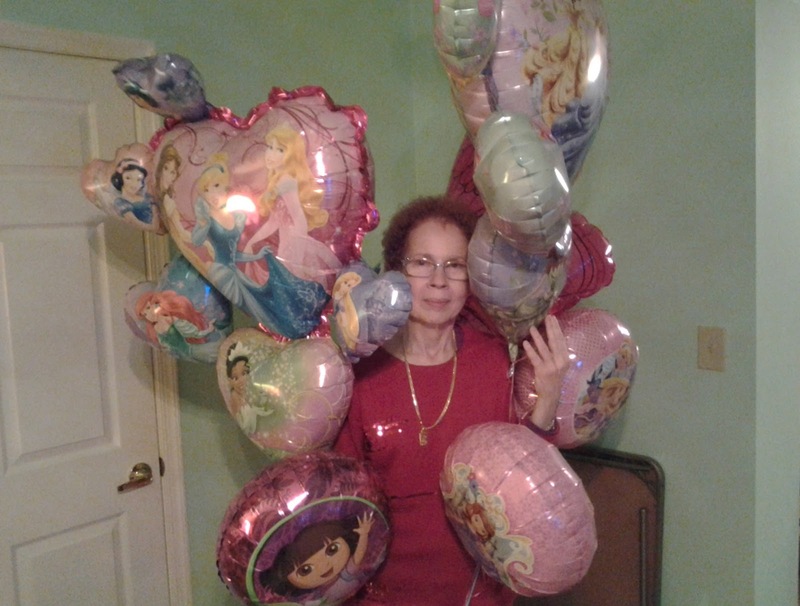 Maybe she was nervous and needed some Mylar balloons to help her relax. Whatever the matter was, she had a difficult time with the ventilators, especially the ones used in the neonatal care unit. People weren’t always nice about it. One day, while working with a sickly infant, she accidently pushed a button that caused his ventilator to go into “vent inoperative” mode, and she couldn’t figure out how to fix the problem. An irate nurse manager called our supervisor and requested that she not be assigned there. No baby died, but afterwards, I’d notice Anne crying when she thought no one was looking. Our supervisor, to his credit, reassigned her to the noncritical care floors without complaint. Sometime later, my husband Mike and I married, and I changed jobs to be closer to home. I lost contact with my coworker, but I never forgot her. Years later, an infant came to the emergency room. His heart stopped beating, and despite the code team’s best effort, he died. I got to thinking about Anne again, and my mind started playing what if? What if the baby had died because of her difficulties with the equipment? What if she had a bad accident, lost consciousness, then woke up with paranormal powers? Though rare, people can experience this after head trauma. These questions circled in my mind, circling the way the Mylar balloons do when they float through my house, and Infinite Sight was born. I took lots of artistic license – yes, you can lie as a writer, but I prefer to call it artistic license. For starters, I offered visual problems to explain her difficulties. I struggle with vision problems myself, and this can make learning tough because most medical documents use small print. And I enjoy reading and writing science fiction and horror. Devastated by an error which caused an infant’s death, Lilly becomes deathly ill and collapses from loss of blood. She wakes up from emergency surgery with mental telepathic powers. When an extraterrestrial ship crash-lands near her home, she investigates and happens upon a survivor who needs her help. Motivated by guilt-ridden feelings over the baby, she rescues him, catapulting herself into a war between two alien armies. Now the renegade soldiers are on her trail and have marked her for death. Death? For a moment, her life flashed before her eyes. She saw herself at school recess skipping rope. She recalled her high school prom with her then-boyfriend, not Wade. She relived her first dinner with Wade, where she had selected a Stuffed Chicken Marsala dinner at Olive Garden. Wade stood by her during her mother’s death from leukemia. They laughed together and bought a house. They took turns driving her mother to chemotherapy treatments. He coddled her through Baby Miller’s death and her illness, and now, their guest. Why risk her life for some stranger from outer space? Because Laylok and I share a bond that even most relatives can’t imagine. This bond came about because they each carry a radio inside their heads. Sometimes that radio, the telepathy, came in handy. At work, she could figure out a patient’s symptoms, no matter what they failed to state. She knew which coworker might spread gossip to Chadwick. But sometimes she endured the bitter taste of pain, death, and danger. Laylok had gotten caught in that place, and she would do everything she could to help him. As far as she was concerned, that gift made her and Laylok siblings under the skin. If she ignored his cry and let him get killed, she’d never forgive herself. Other books by Barbara include City of Brotherly Death and Steel Rose, plus novellas Close Liaisons and Life Raft: Earth. She’s also coauthored Alien Worlds and Starship Invasions (both now out of print) with Tom Johnson. 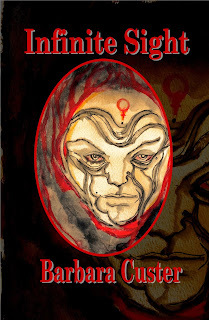 She anticipates release of When Blood Reigns, the sequel to Steel Rose. She enjoys bringing her medical background to the printed page, and then blending it with supernatural horror. She maintains a presence on Facebook, LinkedIn, Twitter, and The Writers Coffeehouse forum. 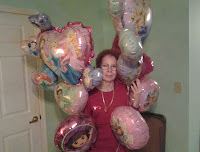 Look for the photos with the Mylar balloons and you’ll find her.